1 Albert Terrace, a model village built by the mill owner Sir Titus Salt. He died in 1876, it is estimated that as many 100,000 people lined the street to watch the funeral cortege. 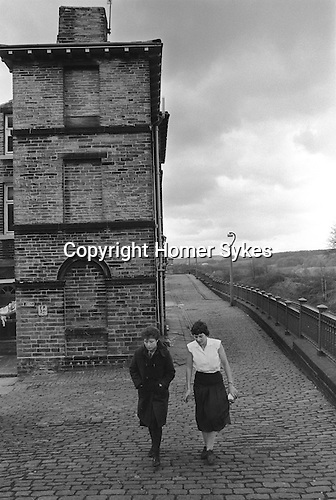 Young women factory workers walking back to work after their lunch hour.